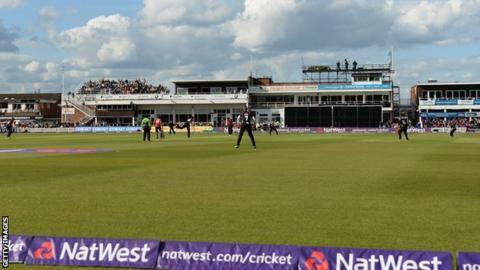 Leicestershire's Grace Road home is to have a sponsor for the first time in the ground's 137-year history, reports BBC Radio Leicester. A five-year naming rights deal has been agreed and chief executive Wasim Khan said the sponsors will be revealed by the club in "two to three weeks". "The deal is done," Khan said. "They are significant supporters of sport in Leicester and it's a major coup for us. "It will bring significant finances in to the club over a five-year period."